abstract	 This book presents selected topics on processing and properties of ferroelectric materials that are currently the focus of attention in scientific and technical research. Ferro-piezoelectric ceramics are key materials in devices for many applications, such as automotive, healthcare and non-destructive testing. As they are polycrystalline, non-centrosymmetric materials, their piezoelectricity is induced by the so-called poling process. This is based on the principle of polarization reversal by the action of an electric field that characterizes the ferroelectric materials. 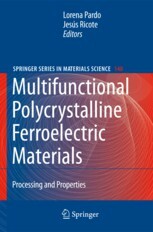 This book was born with the aim of increasing the awareness of the multifunctionality of ferroelectric materials among different communities, such as researchers, electronic engineers, end-users and manufacturers, working on and with ferro-piezoelectric ceramic materials and devices which are based on them. 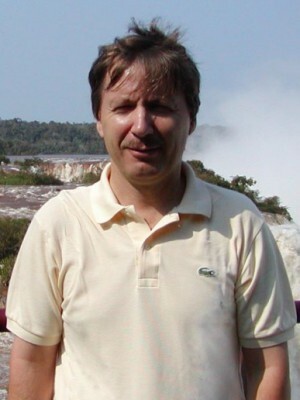 The initiative to write this book comes from a well-established group of researchers at the Laboratories of Ferroelectric Materials, Materials Science Institute of Madrid (ICMM-CSIC). This group has been working in different areas concerning thin films and bulk ceramic materials since the mid-1980s. It is a partner of the Network of Excellence on Multifunctional and Integrated Piezoelectric Devices (MIND) of the EC, in which the European Institute of Piezoelectric Materials and Devices has its origin.